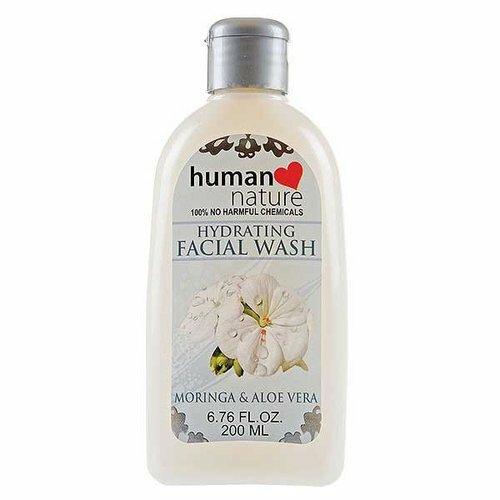 "100% No Harmful Chemicals" -- That was certainly something new for a facial cleanser and I was intrigued. Been reading great reviews about this product in the blogosphere so when I went to the grocery and found one, I went to try it. I don't really like the scent but somehow I like it because it doesn't make my face super dry. So far, so good! Give it a try, besides being harmful chemicals free, it's 100% Filipino made! 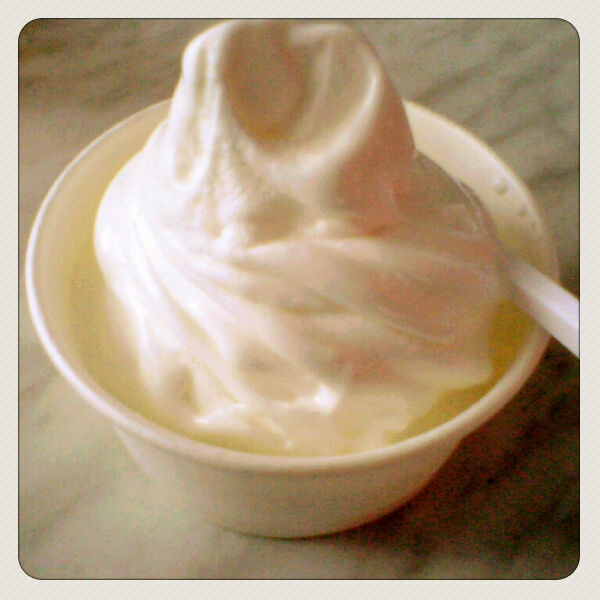 It's yogurt but not really that sour, I think it tastes more like an ice cream. It was certainly delicious and a good dessert after eating 2 pieces of garlic chicken from BonChon! I hope they incorporate fruits to this or a twist of chocolate! Finally found this book after a week of waiting! Thank you Summit Media! 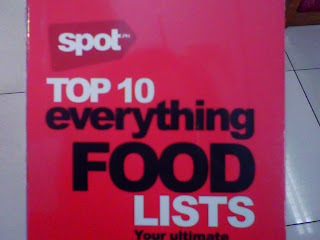 If you religiously read the Top 10 lists on Spot's website, you'll definitely like this (I know I do!). It's a compilation of the Top 10 everything food (duh) and where to get them. If a gastronomical adventurer, this is certainly handy. The world is such a big place full of delicious food! Haha! My personal Top 10 favorites: Pancit Molo, Grilled Liempo, Gourmet Beef Burgers, Nachos, Milkshakes, Cheesecakes and Sansrival! Something from Facebook came in my mail today! 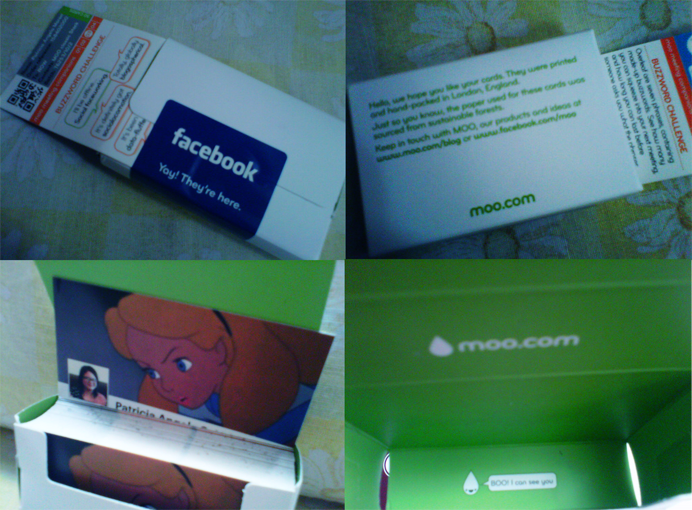 A box of calling cards I previously ordered from Facebook and printed by Moo.com! And it was absolutely for free. 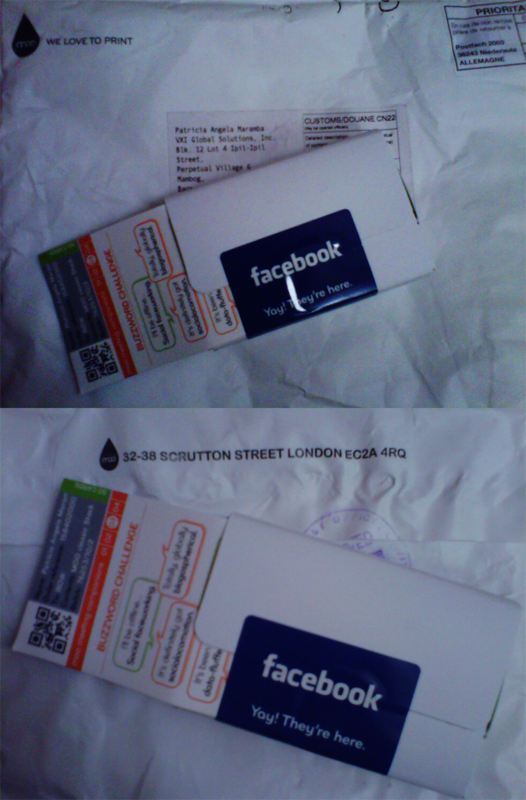 I actually thought it wouldn't be delivered since the cards will be coming from London, England. 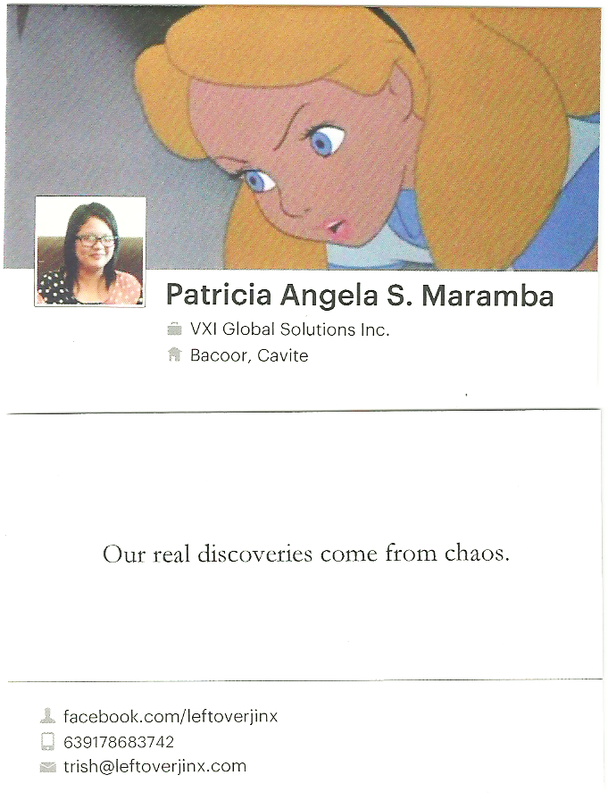 The design of the calling cards will be based on the cover photo of your Facebook timeline as well as all the other information you provided there. 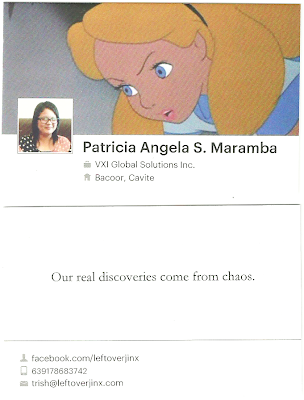 The front and back of the card. I paid nothing for this -- your first box of 50 cards is for free, free shipping also. We tried this on Cy's account but somehow, when you checkout, it already has a £2.75 shipping fee. But you could still try get your first box! 4. Hover on the icon right besides "Contact Info"